Can we start to hack? Then install it on your device. 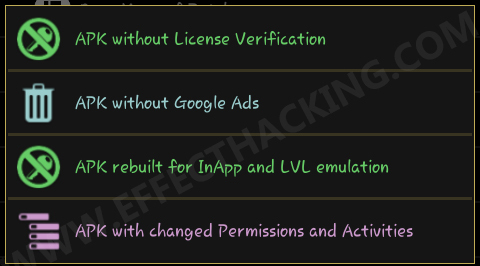 Open the app, you will see the list of all installed apps. Then select the app, a list of options will appear. Now tap on "Open menu of Patches", another set of options will appear. 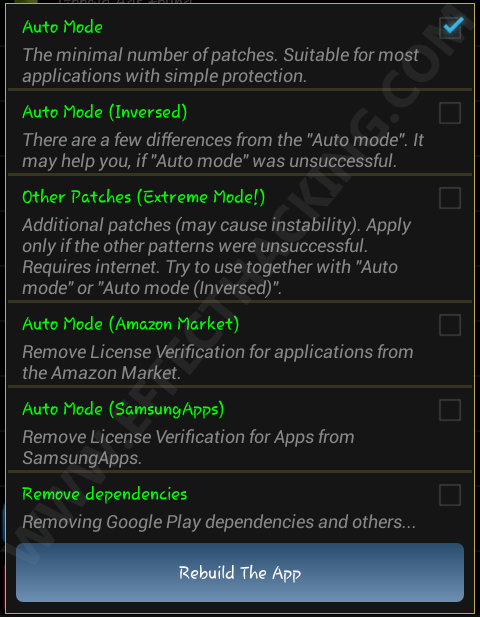 Then select "Create Modified APK File". 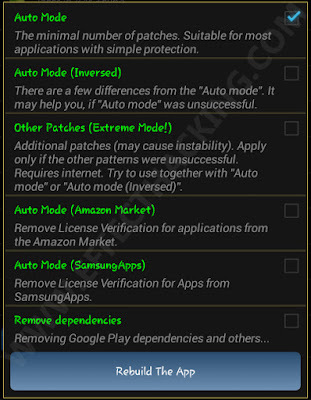 Enable "Auto Mode" and then tap on the "Rebuild The App" button. Then wait for the results... The result window should contain the location of the modified apk. Then install the modified apk on your device, that's all. Note: If the "Auto Mode" is unsuccessful, select another pattern. 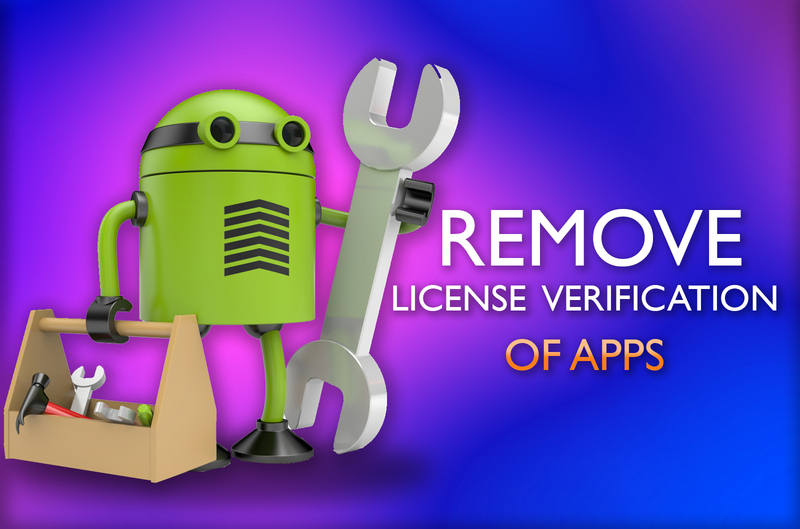 broo plzz tell me what are the uses when license verification of an app removed?? ?